For no particular reason, I decided to keep a detailed log of every cup of tea I drank in 2016. 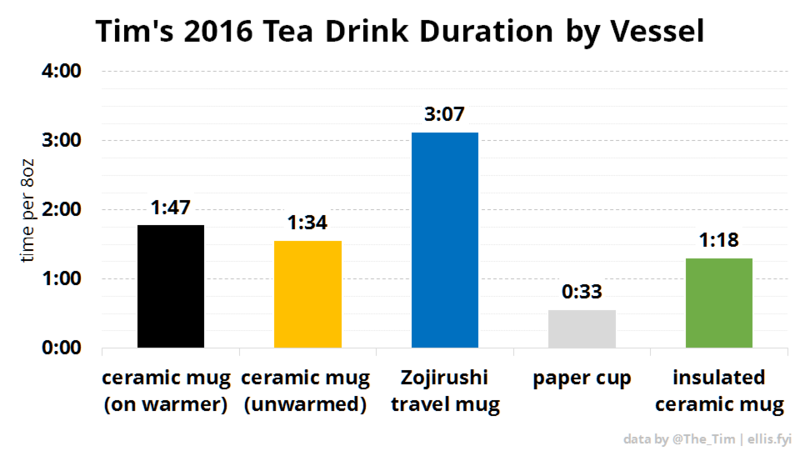 I kept track of the time I started drinking each cup, what time I finished the cup, the brand and flavor of tea, the type of vessel I was drinking from, and a few other things. Now that 2016 is finally over, it’s time to share the results. Note that here I am referring only to hot tea. I don’t tend to drink iced tea. Total hot tea consumed: 7,086 fl. oz. 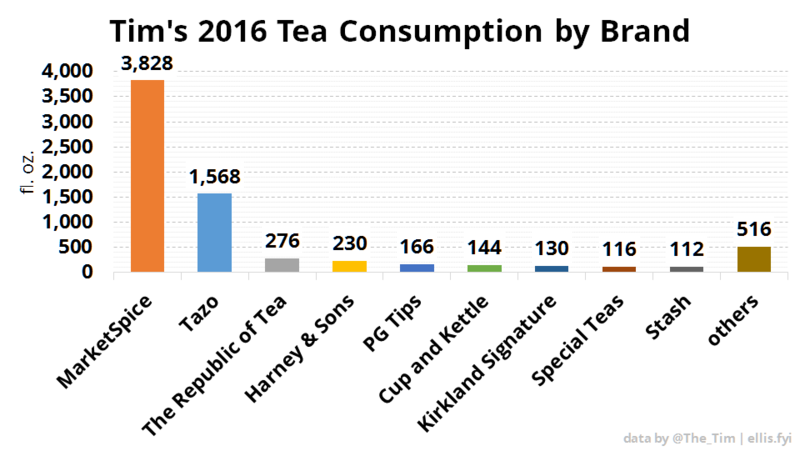 The majority of the tea that I drank in 2016 was from MarketSpice, a local tea company here in Seattle. In a distant second was Tazo, the brand of tea stocked in the office at work. 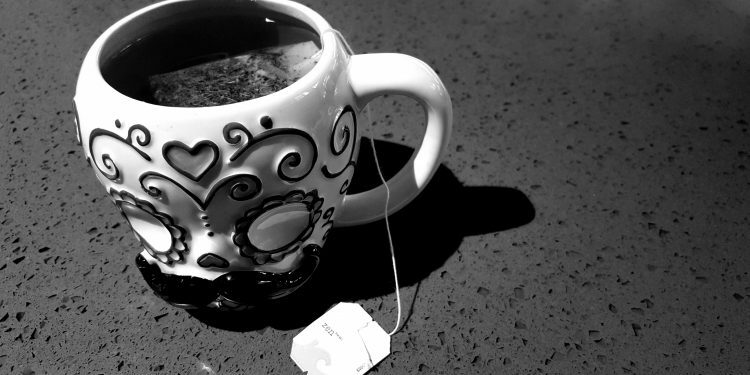 Most of the tea that I drink is black tea. 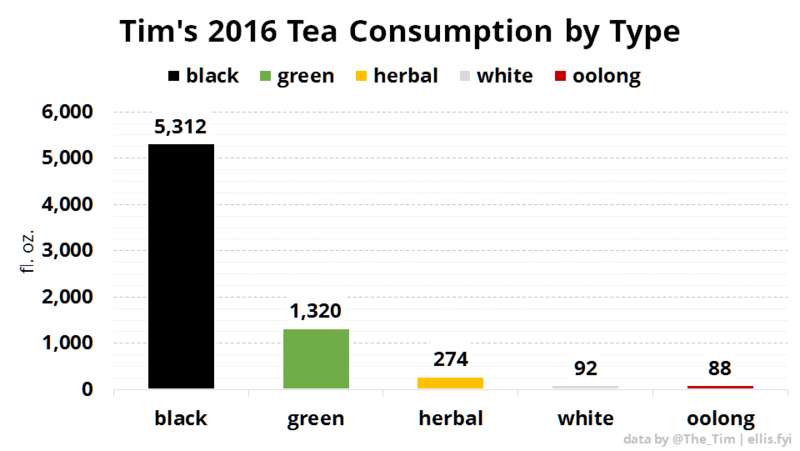 I should probably try to shift the balance more toward green tea, given its numerous health benefits. Most of the time when I’m drinking tea I’m sitting (or standing) at my desk, working. At both my workplace office and my home office I’ve got an electric mug warmer that keeps the tea at a pleasing temperature for the entire duration of each cup. When I’m drinking tea away from home, it’s almost always in my Zojirushi insulated mug, which keeps the tea hot literally all day. Even though I took a lot longer to drink tea when I was away from home, it was always still hot when I finished it. 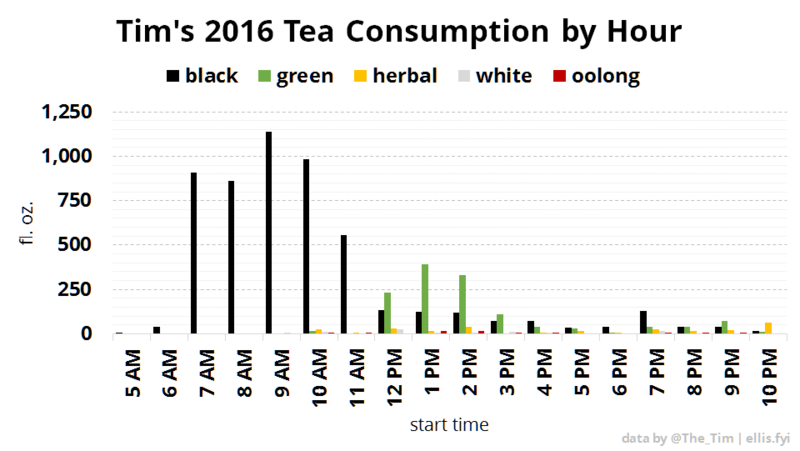 Finally, I thought it would be interesting to compare my 2016 tea consumption to data on tea consumption around the world. The best data I could find on this was from a 2014 Quartz story. 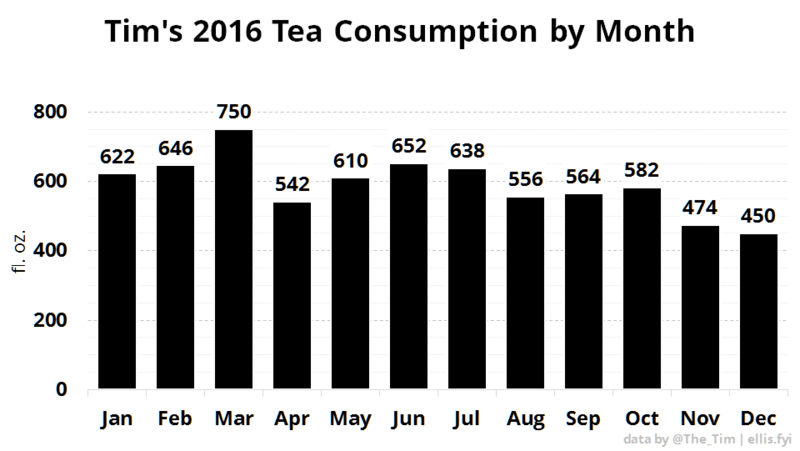 The catch is that the annual per capita consumption by country data was measured in weight of tea leaves rather than volume of tea drink. 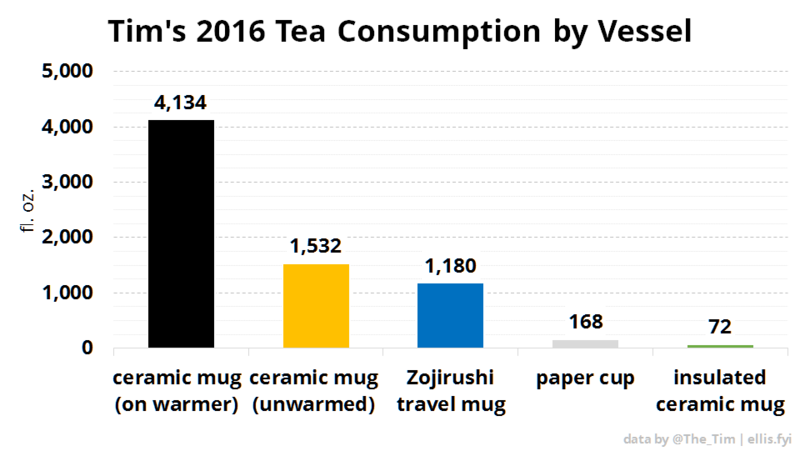 In order to properly compare my 2016 tea consumption to the rest of the world, I counted up the number of cups I drank using tea bags and multiplied it by the average weight of tea contained in a typical tea bag, 0.075 ounces. I also weighed the leaves I typically use to brew an eight ounce cup of loose leaf tea, which was about 0.4 ounces for MarketSpice Cinnamon-Orange. I told you that I like my tea strong. 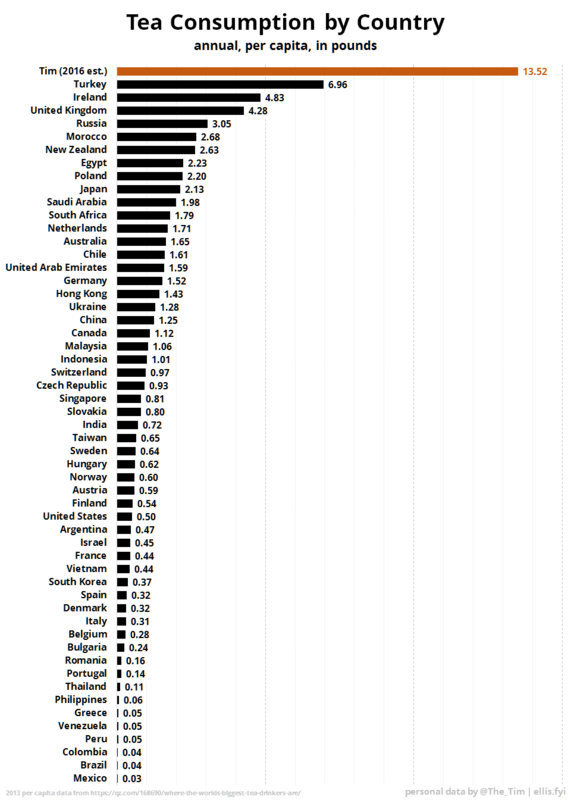 The total estimated weight of the tea leaves used to prepare all the tea I drank in 2016 came out to 13.5 pounds, nearly double the per capita consumption in Turkey, the heaviest tea-drinking country in the world, and over 27 times as much tea as the per capita consumption here in the United States. In conclusion: I like hot tea. Sharknado: Has the “Shark Genre” Reached its Logical Conclusion? NOPE. 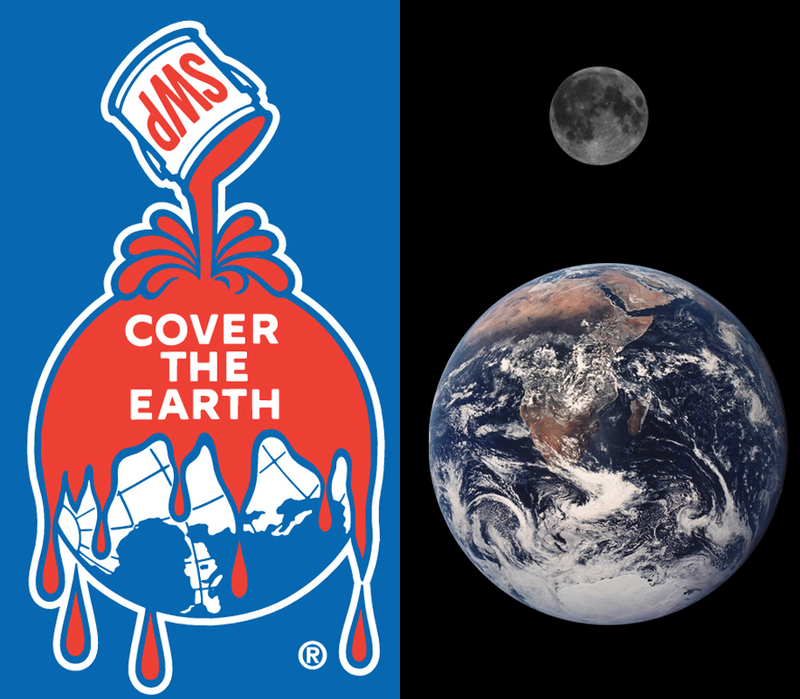 How Much Paint Would it Take to "Cover the Earth"? You drink as much tea as I drink coffee. Should I log that?